When facing a lawsuit and a possible judgment against you, protecting your assets is crucial. Like many people you likely maintain a share of your money in a bank account. Protecting your bank account is a key element of an overall plan of action to shield your assets from seizure if a judgment is entered against you in a lawsuit. The most effective way to protect a bank account from judgment following a lawsuit is setting up and placing your account into a trust. Obtain a sample or standard form for an irrevocable spendthrift trust. An irrevocable spendthrift trust specifically is designed to protect your assets from seizure by a creditor, including for a judgment arising out of a lawsuit. 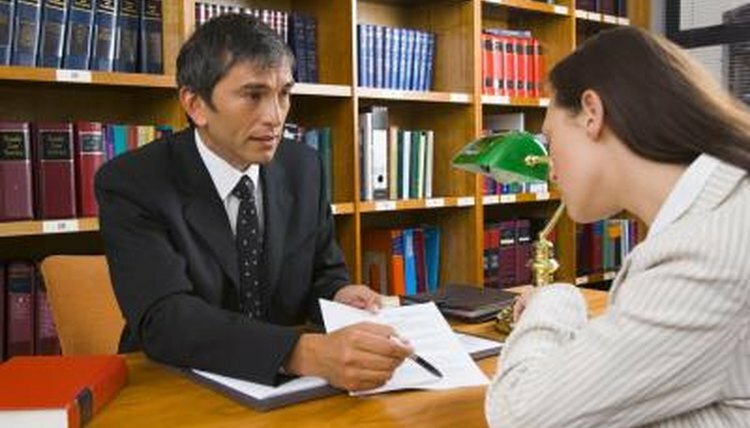 Designate a person to serve as your trustee. You must not only select a person with experience and whom you trust but an individual that understands your financial needs and desires. List yourself as the beneficiary of the trust. In other words, you are both the grantor (the person creating the trust) and the individual who benefits from the trust. Name a successor beneficiary or beneficiaries if you so desire. These are individuals you enjoy the benefits from the trust upon your death. Taking this step provides an added benefit because you are able to avoid probate costs and estate taxes. Select the assets that are included in the trust, including your bank account. List these assets in an exhibit to the trust. You can add additional assets into the trust in the future. However, with a revocable trust you personally lack the ability to take assets out of the trust without the approval and action of the trustee. Sign the trust agreement in front of a notary public. John Doe Trust Account, Jane Doe, Trustee. Broemmel, Mike. "How to Protect a Bank Account From Judgement." , https://legalbeagle.com/5883844-protect-bank-account-judgement.html. Accessed 18 April 2019.